From that time until now, we continue to grow in the business of selling spare parts of its specialized printer to handle sales Printhead. 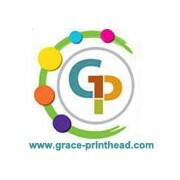 Grace Printhead is one of the largest distributors in Indonesia, many leading store in Indonesia and around the world ordered the printhead to us. then from that to this day we continue to improve our services. dropship system to facilitate you resell. and to this day we are still working with a variety of brand printers such as Epson, Roland, Mutoh, Vutek, HP, Spectra and more. we establish good cooperation to them so that we get the best price. as for our long-term services to our buyers will keep it to provide the best price. and hopefully with our presence can ease throughout your work.